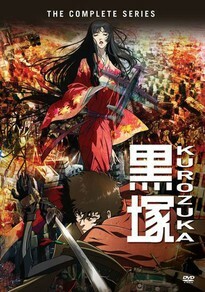 Kuro is a swordsman in 12th-century Japan who falls in love with Kuromitsu, an immortal vampire. About to turn immortal himself, Kuro is betrayed by his servant Benkei, a secret member of the Red Imperial Army, leaving him unconscious. He awakens in the future and finds a ravaged, post-nuclear Japan under control of the Red Army. Kuro is determined to take on the army and find his immortal love.